SINN FEIN/IRA’S WEIR AGIN THA ULSTÈR SCOTCH LEID!!!! | AMERICAPHILE RESURGENT!!! ← WISE COUNSEL FOR WISCONSIN!!!!!!! SINN FEIN/IRA’S WEIR AGIN THA ULSTÈR SCOTCH LEID!!!! TERRORISTS IN POWER IN STORMONT ARE TRYING TO DESTROY BRITISH ULSTÈR’S CULTURE!!!!!! CULTURE Minister Carál Ní Chuilín [BWAHHHHHH!!!!!!] says she has no plans for an Ulster Scots Act despite her intention of forging ahead with proposals to bring an [LEPRECHAUN] Language Bill to the Executive Legislative Programme 2011- 2015. 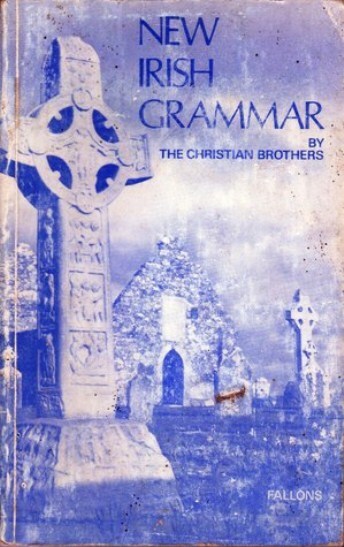 The Minister revealed the [LEPRECHAUN] language received more favourably treatment than Ulster Scots as part of the St Andrew’s Agreement in 2006. THIS MINISTRY HAD RECENTLY POINTED OUT THAT ULSTÈR’S LANGUAGE IS IN PERIL!!!!! EVEN EARLIER, MORE THAN A YEAR AGO, THIS MINISTRY PROPHESIED THAT THE CURRENT SINN FEIN/IRA FOWKGATES MÄNNYSTÈR WOULD WAGE CULTURE WAR ON ULSTÈR, WHICH WE NOW SEE IN HER NEW MEIN KAMPF AGAINST THE HAMELY TONGUE OF ULSTÈR!!!!!! WHY ARE THERE PLANS TO IMPOSE THE FOREIGN LEPRECHAUN LANGUAGE ON BRITISH ULSTÈR, BUT NONE FOR ULSTÈR’S OWN LEID?!?!?!?! IN THESE LAST DAYS, LINGUISTIC APARTHEID IS BEING INSTITUTIONALIZED!!!!! THE ONE-WORLD RELIGION IS ONE THE WAY!!!!!!!!! Posted in Uncategorized and tagged WAR ON THA ULSTÈR SCOTS LEID. Bookmark the permalink. Pingback: JAMIE BRYSON’S PROPHESY VINDICATED: WITCH HUNT AGAINST ULSTÈR SCOTS INTENSIFIES!!!!! | AMERICAPHILE RESURGENT!!! gis a clampitt manch in a bap wi a pyne aiple roon it ya wee dafyt wain!